Honda Marine Outboard Motors are dependable, powerful and efficient, which is exactly what I want from my outboard motor and hopefully for you, too. With Honda being the world's largest engine manufacturer, it makes sense to put your trust in the Honda name. It's a showcase of engineering and technical excellence. Gulf Marine is an authorized retailer and service center for Honda marine products. Give us a call with any questions or for any assistance. When a powerful punch is needed from a small package, Honda Marine offers a great portable outboard. Starting with the BF2.3, it provides 15% more power, 12% larger fuel tank and it's the world's lightest four-stroke outboard. Building on this legacy is a family of portable outboards with the BF4-5-6, BF8-8.9, and the BF15-20. Each motor is designed for fuel efficiency, ease of use and a long life cycle. Honda Marine motors are quiet, reliable and on display at Gulf Marine in Panama City, Florida. If you have a need for mid horsepower, you have a need for a mid-range outboard by Honda Marine. These dependable motors start off with the BF25-30 series and ramps up to the BF 40-60, BF60/BFP60, BF75-90 and cranks up to the BF100 with BLAST Technology and the boost of VTEC. The mid-range family offers breathtaking features like BLAST, Programmable Fuel Injection, a high performance heavy-duty gear case, Lean Burn Control, and variable speed trolling, and more. 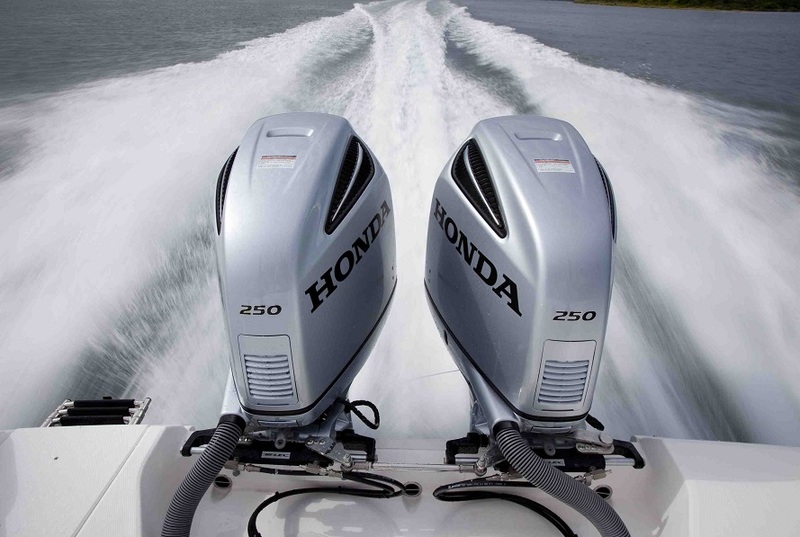 For those that follow the more is better way, Honda Marine presents the perfect package of high power outboards to you. Whether you power up the BF115, BF135-150, BF00-225 or the BF250, you will experience plenty of power and jaw-dropping performance. These beauties feature automotive technology, 16 valve DOHC, NMEA 2000, lean burn control, superior charging, and more. It all combines to create high power outboards with better features and better technology so you can enjoy better boating.